With a plethora of choices out there, choosing what to read might be challenging. 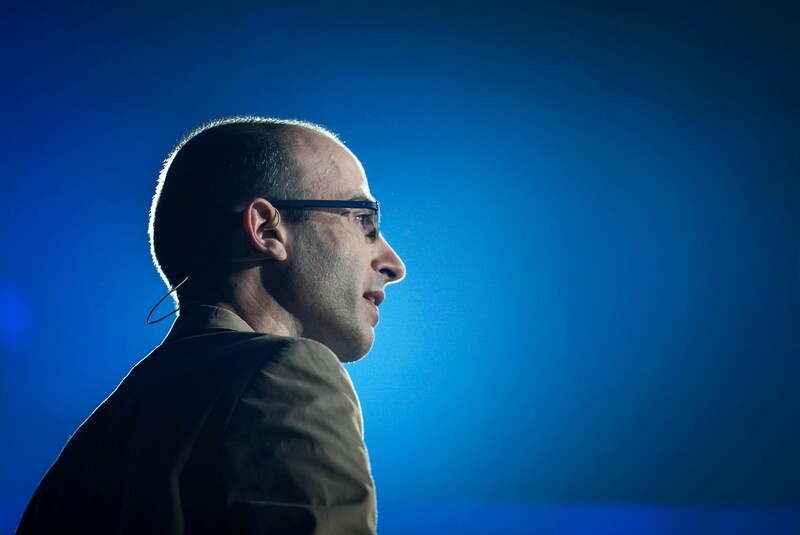 The Jakarta Post sat down with Yuval Noah Harari, author of bestselling books Sapiens and Homo Deus, for an interview and asked him for book recommendations. Harari's third book, 21 Lessons for the 21st Century, is set to hit the shelves in September. Its Indonesian version is expected to follow soon, published by Gramedia Pustaka Utama. Before George Orwell's Nineteen Eighty Four, there was Brave New World, first published in 1931. If the Orwellian view of authoritarianism is based on total surveillance and oppressive government control, Huxley's is more subtle in its approach. Harari called the book "the most prophetic book of the 20th century" as there are many aspects that resemble that of our current world. In Brave New World, citizens of the World State are born through genetic engineering with traits that determine their lives. People are happy with a plethora of entertainment available, and if not, they can just chug a happiness-inducing drug called soma. "Today many people would easily mistake it for a utopia," said Harari. As a Dutch primatologist and ethologist, de Wall spent six years in a chimpanzee colony at the Arnhem Zoo, Netherlands. Chimpanzee Politics, published in 1982, is a result of his observation on the social life of the primates. The book, narrating the political struggles within a chimpanzee band over a period of three years, 1976-1978, is not only significant for primatology but also for political and social sciences. "It completely changed my view of chimpanzees and Homo sapiens alike. Probably the most funny science book I have ever read. A must-read for politicians of all species!" said Harari. "A book of big questions, and big answers," said Harari. If Sapiens talks about the whole species, Guns, Germs, and Steel discusses how European and North African civilizations managed to conquer others in the last few centuries. The book won the Pulitzer Prize for general nonfiction in 1998. Central to Diamond's thesis is the argument that geographical and cultural-political differences set one civilization apart from others, by making one resistant to endemic disease or nurturing technological innovation. Harari stated that the book turned him "from a historian of medieval warfare into a student of humankind". The most recent book in this list, Enlightenment Now uses statistics to argue that life is better now that it has ever been. Calling it “my new favorite book”, Bill Gates sits down with Pinker on Enlightenment Now and provides a free chapter on its website (https://www.gatesnotes.com/Books/Enlightenment-Now). Still, Gates himself commented that Pinker was too optimistic on issues like artificial intelligence. "There is of course much to argue about, but that’s what makes this book so interesting," added Harari. Anyone who lives on the internet knows that attention is scarce these days, with the endless stream of content and information. But Wu argues that this does not come out of nowhere, but is rather a product of "more than a century's growth and expansion in the industries that feed on human attention".